I love the feeling of smooth legs, but I am pretty lazy when it comes to shaving (shhhh!). That's why I can't wait to start using the new HoMedics Duo Salon device*(£549.99) to get #SmoothForSummer. We are travelling for a few weeks in July, so I would love to be able not to worry about hair removal, especially on my legs. I will be updating you on my journey/progress in 5 weeks time and then in 10 weeks as well with my final thoughts. Exciting! I will be reviewing the device in detail in my mid-treatment blog post at the end of May, but I wanted to tell you a little bit about it and share my first impressions. 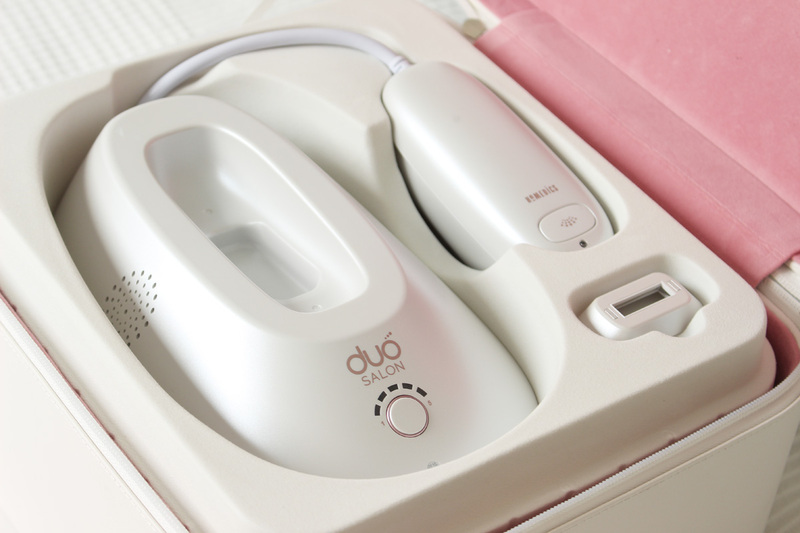 Duo Salon is the world’s fastest Intense Pulse Light (IPL) device and salon grade appliance for at-home use delivering an unmatchable 500,000 pulses of light to the root of the hair. The device combines IPL and Advanced Fluorescence Technology (AFT FREEGLIDE™) which means that you can get rid of different types of hair found on the body and get the best results possible. It is also very fast, with an unbeatable 2 flashes per second. Impressive. It is also the first at-home device to feature Active Cooling Technology, which delivers a smoother and cooler experience. There is nothing worse than putting yourself through agony, so this is very important. I personally don't find at home IPL painful, but I know that some struggle with it. You can use it anywhere on the body, including legs, underarms, arms, face etc. I am excited to get rid of that peach fuzz on my face, as it really annoys me. But let me tell you THE BEST bit... The Freeglide feature is a game changer! 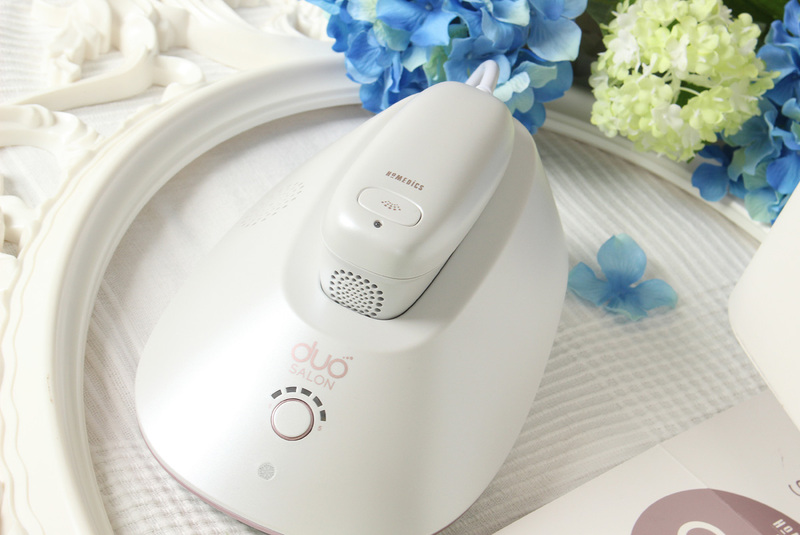 For legs, arms and larger areas of your body, which are normally the most time consuming, you simply glide over them with the device, without having to focus on specific parts of the skin. More stubborn areas like bikini line and underarms need more attention with the single shot IPL but most of your body can be done with freeglide, which makes it so much quicker! As many users tent to give up with at home IPL due to the amount of time it takes, it is a massive PRO of this specific device. 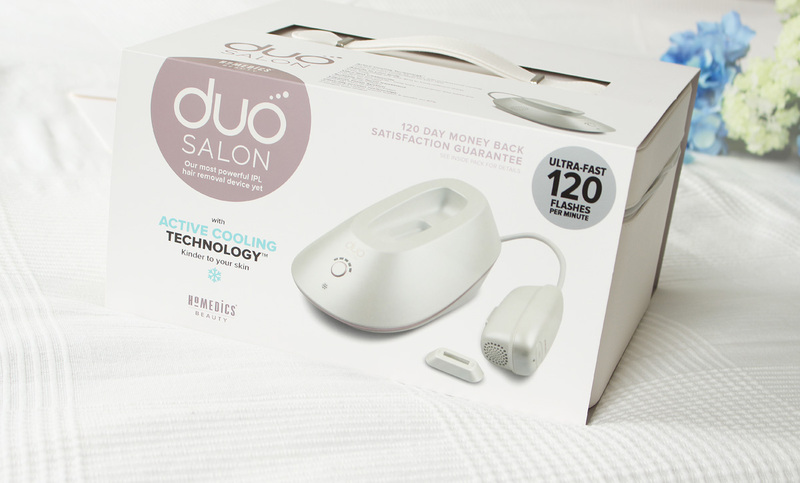 I just started my treatments and I must admit, using the Duo Salon is a breeze! So much faster than I expected and I am truly enjoying the freeglide mode. The last time I was doing IPL I fell pregnant and stopped the treatments, so I am really excited to see the results after 5 and 10 weeks. Can you imagine being completely smooth all the time? Isn't that 'the dream'? I adore the design of the device as well and the vanity case it comes in is stunning to, making it that little bit more special. 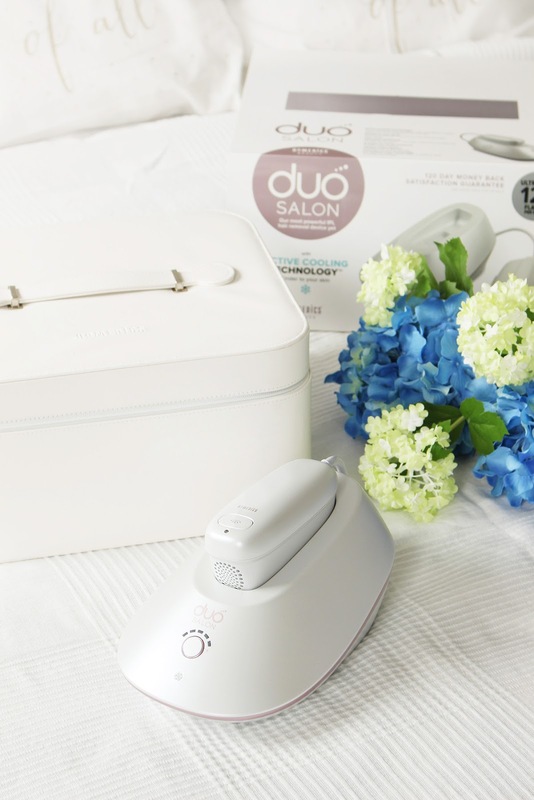 First impressions of the HoMedics Salon Duo - it's fab and sooo easy to use! I will tell you more about it in my in-depth review once I complete WEEK 5, as I will be much more familiar with the device and it's features. The device retails at £499 and it's available from www.homedics.co.uk and www.argos.co.uk.